Something to love about today are the fabulous items of Copirates who creates limited éditions with the collaboration of ceramic artist Marie-Laure Gobat. 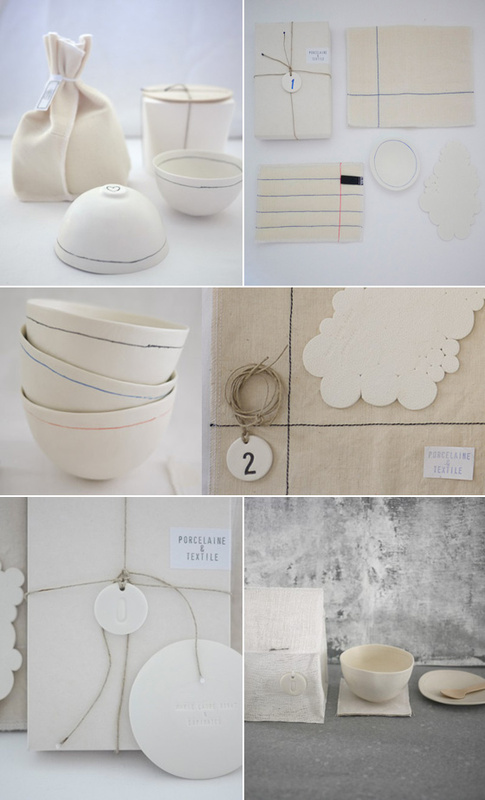 A mixture of porcelain and textile for your tea time. thank you very much Brit for your post about our work ! Hi! we loved your post! Très joli ! Cela ressemble un peu à l’ambiance du Petit Atelier de Paris.